Headliners Skin & Hair Care, Inc. is an educational salon. 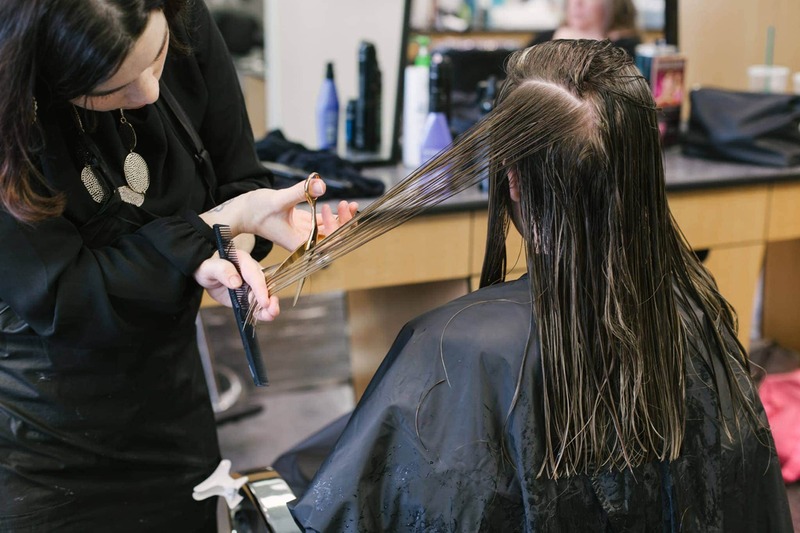 This means a licensed hairdresser goes through a rigid program to develop their professional skills to the highest level. You will see several different levels of expertise in our salon from apprentice to master designers. The designers at Headliners move through levels by the completion of educational requirements. Stylists of all levels are trained in the Complementary Body Angle, a scientific method used to determine the correct angles and lengths for each individual so as to assist to find the perfect design to fit an individuals structure as well as face. *Updo note: when arriving for your updo service, have clean, dried hair and wear a button down shirt.